The Stinson Reliant has local historical connections at Baginton as an example registered G-AFRS (W7978) was used with No 2 special camouflage unit based at Baginton in 1940 ,this was no doubt used in connection with the protection of local aircraft factories in connection with the war effort,the machine above is non other than Fairey Aviations old hack aircraft G-AFVT which was eventually sold in the States as N5913. To show that the Air Atlantique Historic flight aircraft are no museum pieces gathering dust,the opportunity was taken to fly the Avro 19 and Devon to the Sudan in the year 2000. This remarkable flight for a duo of vintage aircraft was taken so that Gulfair could use the aircraft for their celebrations as both aircraft were used by Gulf Aviation the companies former title.Note the legend -AIWX the missing letter 'G' is intentional as this was the only way the period registration marks could be used over the UK,this is the result of a tightening up by the authorities on the practise of displaying registration marks which were never used by a particular aircraft,this picture was taken at the open day at Birmingham International airport in the year 2000 by Dave Peace. G-SIXC DC-6A Seen in its early colourscheme landing at Baginton. 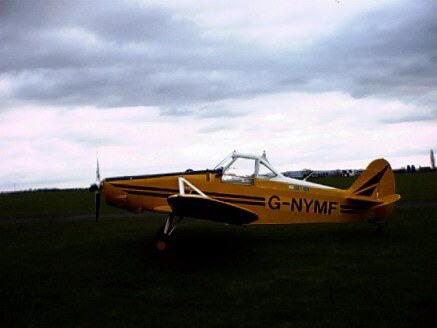 Pictured here just before delivery to the Bristol Gliding Club and based at Nympsfield is this Piper PA-25-235 Pawnee G-NYMF,the aircraft was purchased from Belgium as OO-PAL and was readied by the locally based maintenance company here at Bideford. 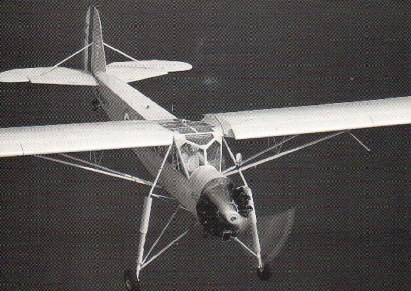 On November 22 1965 a certain Dr Gaston arrived on these shores from America in his float equipped Piper Super Cub N1361A,in an attempt to find suitable water near Torquay,he had no option but to land on the Exeter ship canal at Topsham,such was the hostility to seaplanes landing in this country that the canal superintendant had ordered the removal of the aircraft,it was then dismantled and taken to Exeter airport for the fitting of its land undercarriage. The unusual route taken by Dr Gaston was Maine,via New Brunswick,Quebec,Labrador,Greenland,Iceland,Holland. 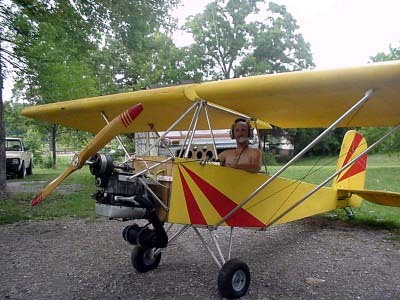 The unusual circumstances of this flight and the remarkable airmanship coupled with the reliability of the Super Cub were highlighted some years later by myself in Flight magazine,truly an underated air journey of the world. Picture courtesy of:The Exeter Gazette and from my archives. Wind in the wires! 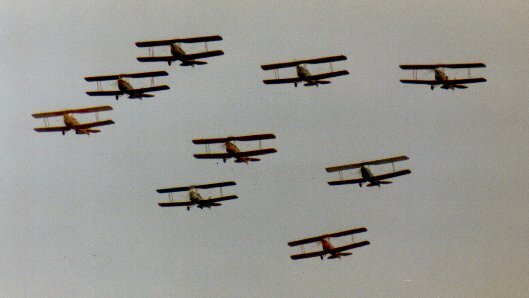 Atmospheric stragly formation of WW.1 replicas photographed at Rendcombe RFC airfield on 15.9.91,the formation from the left includes N152JS Fokker Dr.1/425,two replica plans SE5 replicas and Fokker D.7 G-BFPL once owned by Leisure Sport at Thorpe Water Park. Another Rendcombe scene with G-BFPL Fokker D.7 leading G-BEFR Fokker Dr.1/17 (built by Viv Bellamy of Westward Airways,Lands End) on take off there on 15.9.91,this Triplane was lost in a tragic crash some time later. 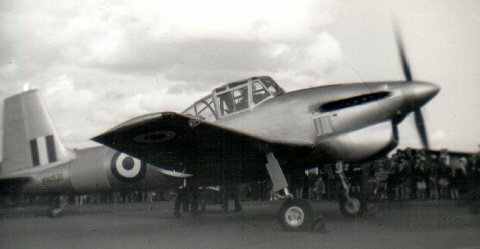 This aircraft appeared at RAF Gaydon Battle Of Britain day display on 20.9.58 its base at that time was White Waltham,colourscheme was overall silver with the normal yellow training bands of the day. 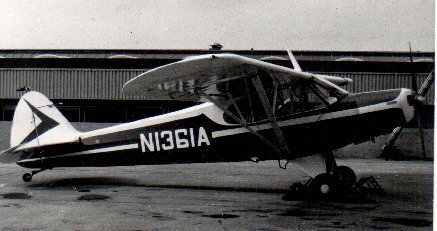 Pictured at Elmdon in the sixties this aircraft is c/n 13162 which started life as F-OAOT delivered on 20.2.54 to Aigle Azur,it then went to Air Fret in December 1956 and was still active up until at least 1970. 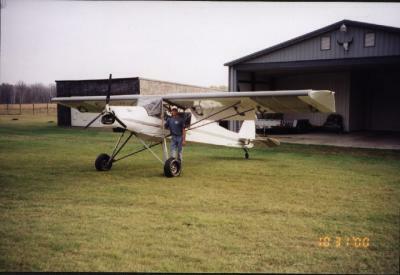 This machine is the 1999 Ragwing Parasol,note the simplicity of lines,very much like the British 'Fred' series (flying runabout experimental designs) built by Eric Clutton some years back,would make an ideal model subject. Slepcev Storch replica,designed around the Fieseler Storch German STOL aircraft this one is almost half scale,now isnt she a little beauty! 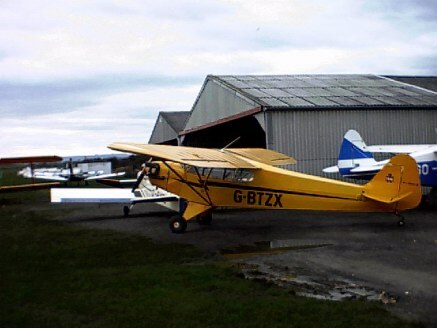 One example of this aircraft registered VH-TEI was imported to the UK in 2000 and based at the airstrip at Goldcliff near Newport,Gwent,it is thought to have returned to Australia that same year. Caught on camera for me by someone on a trip across America,sorry that I cannot recall your name? G-BPHZ MS.505 Criquet (ex F-BJQC) at Duxford 28.6.89 this aircraft is thought to be the very aircraft that landed Mussolini in the streets of Berlin,extensive restoration work has been undertaken to the airframe. 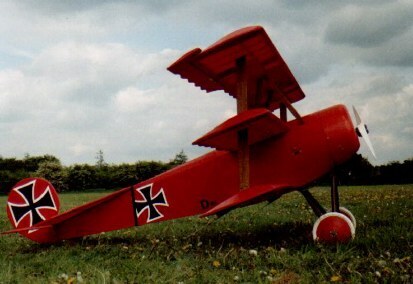 despite being not airworthy it represents a genuine authentic example of the breed. 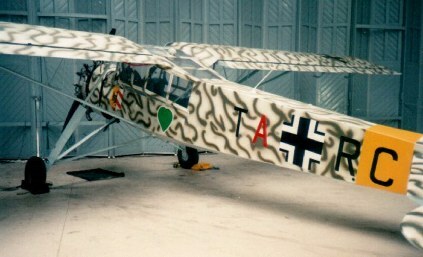 Tomy Beiers lovely flying MS.505 (Storch) DEFTY,you can almost hear that big radial engine! 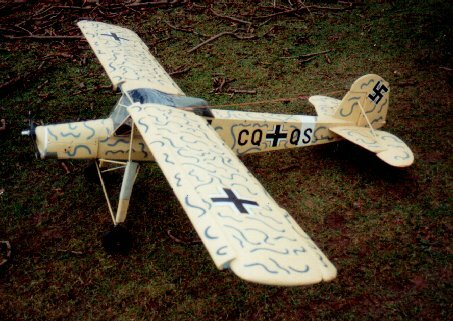 Believe it or not this is a flying model of the Fieseler Storch built from a Svenson kit it is powered by a OS.90FS motor,the leading edge slots are fixed.